What holds the Nutwork together? Is there not a part in each and every one of us that knows it is all fake? Man must necessarily be superior to the machine, as the Creator is to the created. I posted this video a while ago of character Mark Rober, a member of the Curiosity landing team. Mark Rober was part of JPL’s Advanced Projects Design Team (also known as “Team-X”), the agency that designed the complicated Mars Science Laboratory Sky Crane landing system. The following video was uploaded to YouTube by Mark Rober and purports to be an amateur report on the landing itself. Please observe the following bizarre background shifts [01:53-02:00]. Check out the background guy at right, and Mark Rober’s girlfriend. The guy’s head movement skips a few images, while Mark Rober’s movement flow naturally. His girlfriend also shifts to the left. Background Woman’s head on the right rest on black t-shirt guy looks utterly bizarre. in the following footage [02:00-02:10] Mark Rober’s body shifts at 02:05 while background people flow naturally; background woman’s head at right magically reappears on black t-shirt guy’s shoulder at 02:07. I don’t know if Mark Rober and his girlfriend are real, nothing in the imagery displays any evidence they are synthetic. However there are a number of incongruities in the background. Is this green screen? Please feel free to comment. I am as confused as you. Before proceeding on this path, I think we should ask ourselves: Is there any precedent where NASA has simulated its own staff? I contend, as you do Simon, that THERE DEFINITELY IS. I think perhaps it is time to take our fight to the next level. NASA's Low-Density Supersonic Decelerator (LDSD) was successfully launched on a helium balloon today at the U.S. Navy's Pacific Missile Range Facility in Kauai, Hawaii later the LDSD will be released at 120,000 feet and fire a Star 48B rocket motor to boost it to Mach 4.0 and 180,000 feet. This height and speed simulates a spacecraft flying through the Martian atmosphere and is where the air breaking systems will be tested on the LDSD vehicle. LDSD is fitted with what is called SIAD-R, a giant doughnut air bag that will increase the diameter of the vehicle and help slow it down to Mach 2.5 where a supersonic parachute will deploy ahead of a safe landing in the Pacific Ocean for recovery. The video quality alone suggests that this video has something to hide. There are plenty of insects to be seen, however. That's right. Quadracopters, to be precise, will drop future rovers on Mars even though NASA tells us that the atmospheric pressure on Mars is only 0.6% that on Earth (that's 6/10 of one percent). But, what the heck. The public swallowed the story about using parachutes on Mars so why not helicopters? Of course, the video was shot on Earth and any kid with some cash can do the same thing with stuff from the local hobby shop but never mind about that. You can read more about this exciting new technology here. ^ Just seen them at the toy store, special offer $69. Wow, is that ever heavily edited — is this to be unclear about what's going on, or what? The video makes it look like their idea would not work well at all, and it's likely their dropped robot would bounce around or smash to smithereens. Is that we are supposed to think? Who produced this, some interns? It also states that this is "The dramatic conclusion to ESA's latest StarTiger project ..." so this is really more of an ESA thing rather than NASA's which I implied in my post. This is the alleged liftoff 10 months ago of the MAVEN space craft that NASA says just reached Mars yesterday. So, at the above point in the footage the rocket is traveling at over 1,000 mph and it is traveling away from the camera as it accelerates through even faster speeds. By way of comparison I'd like to better illustrate how fast this alleged speed of 1,000 mph that this rocket is supposedly going as the camera follows it in flight. 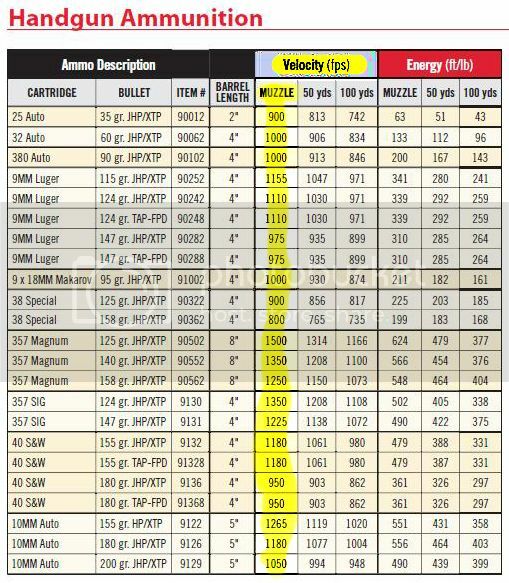 So, here is a ballistic table showing the muzzle velocities in feet per second of the most popular handgun cartridges. The muzzle velocity is, of course, the speed of the bullet as it leaves the barrel and is the fastest speed of its trajectory. Notice that the rocket's alleged speed of “over 1,000 mph” (over 1467 fps) is faster than almost all of the cartridges listed in the chart. Only one high-speed .357 magnum cartridge could beat it and only by a small margin. And, the video is showing us the rocket as it is being followed by a ground based camera as it flies away from us at an alleged speed of “over 1,000 mph.” That's some pretty amazing camera work since that rocket is going literally "faster than a speeding bullet" and away from us to boot! But, earlier in the flight he said it was moving at “over 1,000 mph” which is already well above the speed of sound (which is about 766 mph), so why wasn't it supersonic at that earlier point? Another point one could make is this: "why are these modern, state-of-the-art "MARS-bound" rockets so damn slow"? See, at the end of that video (after about 2 minutes of flight), we hear that the MAVEN rocket is at "10 nautical miles(or 11.5miles - or 18.5km) of altitude". Well, let's take an old F-4 Phantom jetfighter, built in the 60's. The F-4 was capable of 750mph at sea level (and a top speed of about 1500mph). So let's say that an F-4 competed with that 2014 MAVEN rocket - and started climbing straight up at 750mph - just as the MAVEN rocket took off from the launch pad. Now, even if the F-4 did not accelerate - but just kept going at 750mph, it would reach 10 nautical miles of altitude in less than 1 minute. That is, the F-4 would literally THRASH that sluggish MAVEN rocket, leaving it far, far behind ! Now, you may argue that the F-4 cannot go straight up (vertically) like a rocket. However, keep in mind that this thought exercise of mine conservatively allowed for the F-4 to NOT accelerate - but just to keep going at 750mph (half of its maximum speed). Yes, I agree. The rocket is going much more slowly then claimed and even the claimed speed is too slow. This is something (among other things) that has always bothered me about these rocket launches. The rocket is always moving so slowly when it should be zooming out of sight if it's going to reach escape velocity of about 17,000 mph. Yet the cameras always follow it as it lazily cruises along at what appears to be airplane-like speed that never even seems to increase to any great degree. Other things that seem wrong to me with most launches are the lack of a sonic boom and the roar of the rocket staying constant when it should rapidly diminish as the rocket climbs (mentioned here by others too). And, this is purely a subjective opinion but the rockets just don't seem large enough to hold enough fuel to maintain their engine burn long enough to rise 50-60 miles or whatever is theoretically required to do what they're supposed to do. I mean, when I see that flame pouring out of that skinny rocket it always looks to me like the fuel is going to be used up after only a few minutes at most. And, going as slowly as they seem to be going, I just don't see how it's going to make it more than a few miles up, if that. 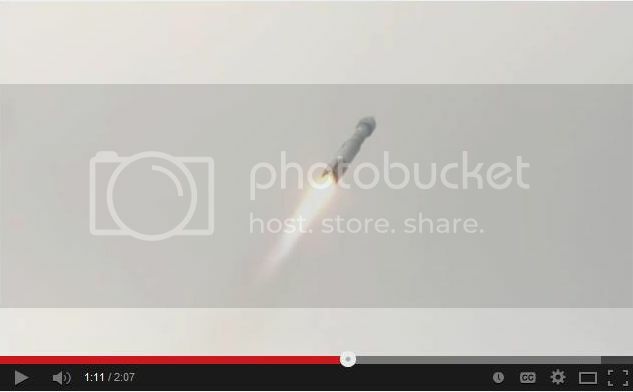 Of course, at least some of these launches seem to be video composites of some kind and others seem to be scaled down models filmed in slo-mo so my points may all be moot when the fakery aspect is taken into account but I'm just trying to describe "what's wrong with this picture." Yes, lux. Far be it from NASA to actually get us a sample of their magic FORMULA X-2000 SUPER JUICE, but until they do they can always claim secret proprietary knowledge to explain their cheap little 20-story toys. Where is their rocket the size of the World Trade Center, and why couldn't they have built one when they wanted to? As if defying physics were as simple as coming up with a new flavor of cola or a new package. Oh, we just mixed this or that, and hey presto, we got this magic formula (we can't tell you about it, if it fell into the wrong hands, the world would be in so much trouble!) that just barely solved all the physics problems we haven't acknowledged but by the waving of our hands. Rocket science: it ain't rocket science.